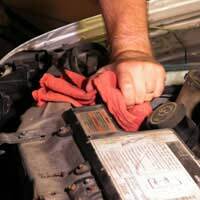 Of course you need to have your car maintained and serviced to keep it running properly. Inevitably, too, there'll be times when the car breaks down and you need it repaired. The best bet is to find a garage you trust, where you can have the work done quickly and reliably. But wherever you go, you have certain rights. It pays to shop around for an established garage with a good reputation. A trade association sign is always a good indicator, such as the Vehicle Builders and Repairers Association or the Motor Vehicle Repairers Association, which means the garage follows the association's code of practice. A reliable garage will always display a menu of fixed-cost work and tell you how much they'll charge to diagnose a fault. They'll have trained staff and display their certificates, and have a complaints procedure. Before you get any work done, always find out how long the work will take and agree a collection time, check if the work will be guaranteed and for how long and it is important to get this in writing (a guarantee is always in addition to your legal rights, you should also check that the garage will fit manufacturer's parts, insist on an itemised bill and agree how you will pay before the work is done (cash, cheque, credit card, etc). When you have your car serviced or repaired, you have the right to have the work carried out with reasonable care and skill. If no time has been agreed at the outset, the work must be done within a reasonable time. The materials used must be of satisfactory quality, which means new parts must be genuinely new and not reconditioned. Before allowing a garage to service your car, find out exactly what the service includes and how much it costs. Be sure to ask what work they do on the engine, brakes, electrics, steering, bodywork, and suspension. Make sure you obtain this information in writing. Many garages, especially fast fit centers, have a standard list of fixed-cost items. Insist on a written quote for the specified repair work and not an estimate. If you don't know what's wrong, get a price for diagnosis. Tell the garage what you want, preferably in writing, and make it very clear any further work will need your approval. If you know exactly what you want and how much it will cost there's less chance of the garage doing extra or unnecessary work, so be precise. When the work's complete, insist on seeing any parts the garage has removed, ask for an invoice or receipt and all relevant guarantees, and keep all paperwork. If you find a problem with the repair, contact the garage as soon as you can and give them the chance to put it right. Keep a record of everything, including dates, times, and what was agreed. If you don't get the outcome you want, complain in writing to the garage manager and send a copy to any trade association the garage belongs to - they might be able to resolve the dispute. If you aren't happy with the outcome, contact your local Trading Standards service (www.tradingstandards.gov.uk). If you feel your complaint still hasn't been sorted out, consider taking the garage to the small claims court - you have a legal right for servicing and repair to be carried out to a proper standard.